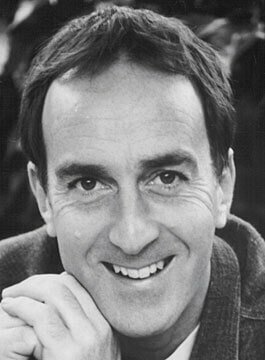 Angus Deayton is a Comedy Actor, Broadcaster and Awards Host. Angus is probably best known as the urbane yet acerbic host of the satire quiz Have I Got News For You which he presented for 12 years. His witty one-liners, patronising put downs and knowing nod to the audience made him a favourite with viewers and his popularity began to grow. While reading French and German at New College, Oxford, his fondness for Abba and the Bee Gees did not mark him out as a satirist. But when Richard Curtis, (later to achieve fame as the Four Weddings and a Funeral writer), invited him to replace someone who had dropped out of an Edinburgh Festival revue, Deayton accepted. The revue called You’ll Have Had Your Tea By Now, eventually evolved into the Radio Four comedy series Radio Active. This in turn became KYTV on BBC television. After earning a living by writing radio scripts and providing voiceovers for commercials, Deayton accepted the role of Victor Meldrew’s long-suffering next door neighbour ‘Patrick’, in One Foot In The Grave. Angus can be found hosting one-off specials such as Before They Were Famous, TV Hell, 50 Worst Decisions, Hell’s Kitchen and Bognor or Bust. Angus Deayton is available for corporate and private events as an after-dinner speaker or host.